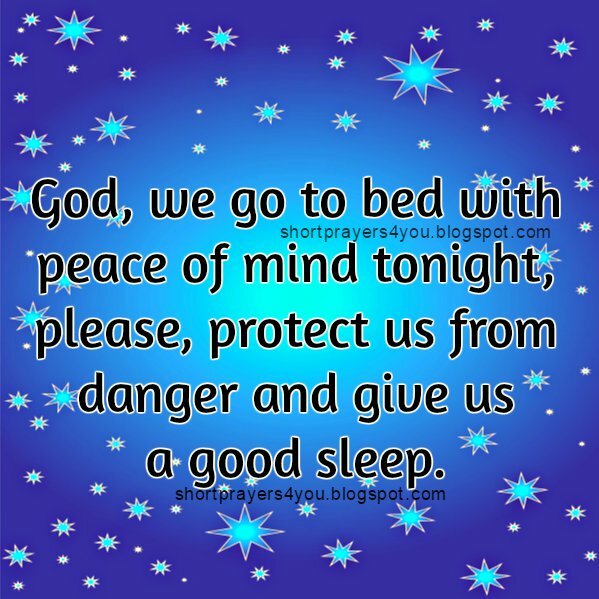 please, protect us from danger and give us a good sleep. take care of each one and give peace to their hearts. we believe in your power and care. Amen.